Let Alternative Medi Spa pamper you or a loved one with one of our specials! Not sure which treatment is best for that special someone? 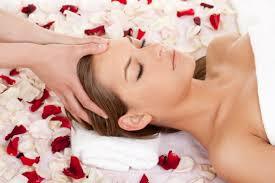 Purchase an Alternative Medi Spa Gift Certificate and let them decide! An advanced treatment which targets the fine lines and wrinkles, large pores, while evening your skin tone and stimulating collagen production. Don’t miss out on these amazing savings and give us a call today! Check our event page for all of our Flash Sales and Events! Refer a friend to us and receive a $50 credit to use toward any service of $125 or more! "Like" our Facebook page and receive a $25 credit towards any service of $100 or more! Groupon purchases are excluded from our referral program, specials or discounts! Injectables and retail products are excluded from the discounts.